Description: Lady Amanda Locke has struck out miserably in her two Seasons on the marriage mart. Beautiful, titled, and charming – even if she does talk a bit too much, Amanda doesn’t understand why love eludes her. Even her father, the Duke of Norford, is so perplexed he is prepared to take drastic measures to ensure his daughter’s happiness. 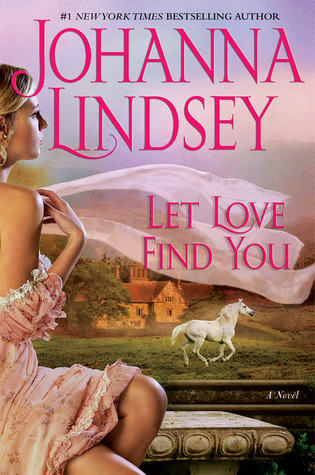 Now, as Amanda begins her third Season, she gets a little help from Cupid, a darkly handsome horse breeder whose knowledge of basic animal attraction has guided him in arranging more than a few successful matches between the young ladies and gentlemen of the ton. Hired by Amanda’s family, Devin Baldwin produces results for Amanda and soon she is happy to be courted by one of his clients, the dashing Viscount Altone. In order to secure Amanda’s match to a nobleman obsessed with horse racing, Devin must teach Amanda how to overcome her fear of horses. But as Devin shows her the joys of riding, hunting, and racing, will their own hearts run astray as Amanda finds herself falling in love with Cupid himself? Also really enjoyed the relationship between Amanda and her father." "Devin shrugged. "Can't deny it's amusing, but it's not something I set out to do. It just fell in my lap. But there's no luck about it, it's simple animal magnetism that makes for a great match. A man and a women have got to want to rut, but after the rutting, they've got to have something in common or their happily ever after falls apart." "Devin laughed. "You're his baby sister. He's not going to discuss desire with you." "He swore to himself that night that he'd never cry again ... or love anyone again. It hurt too much."